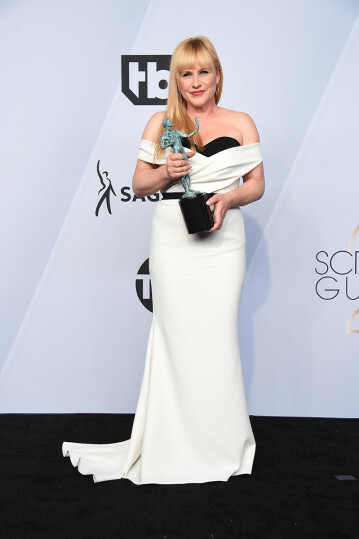 The 25th Annual Screen Actors Guild Awards, hosted by Megan Mullally at the Shrine Auditorium, celebrated the best performances in film and television in 2018. Rami Malek and Glenn Close took home awards for Outstanding Performance in a Leading Role, while other winners included Patricia Arquette, Sandra Oh, Jason Bateman, Rachel Brosnahan, and Darren Criss. 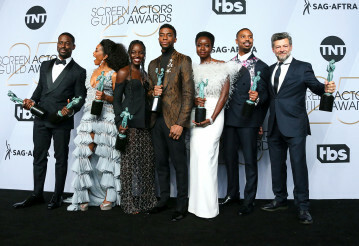 The final award, Outstanding Performance by a Cast in a Motion Picture, went to the massively popular Black Panther.